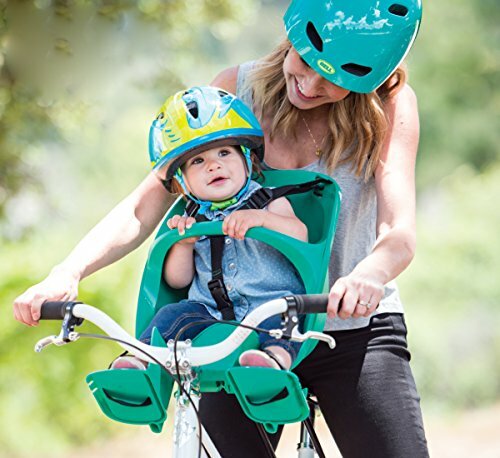 The Bell mini shell front child carrier comes with the new quick on/off bike system. 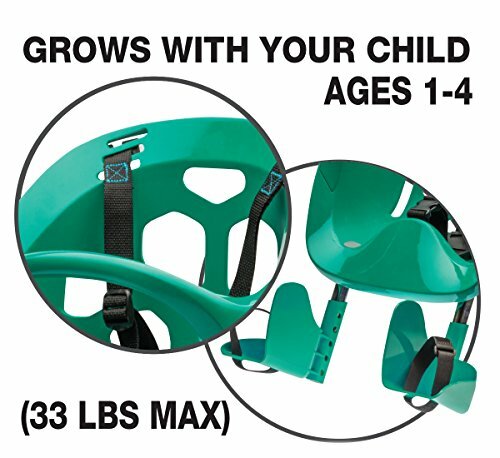 In just 3 easy steps, you can install or remove your child carrier. 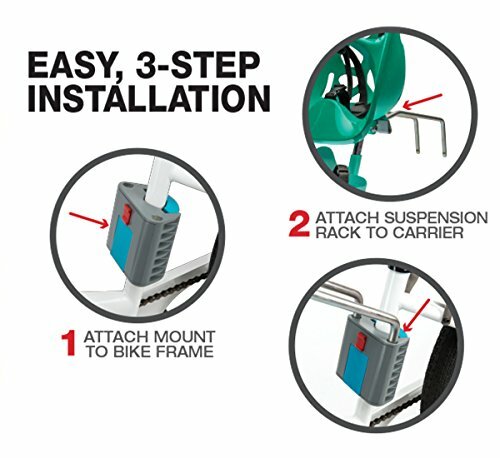 Screw the mount onto the bike frame, attach the rails to the carrier and click the rails into the mount. And with the new "click" safety system you can audibly hear when your carrier is properly installed. 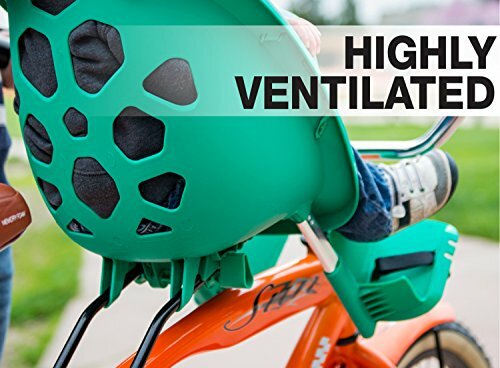 The shell carrier is ventilated for the child's comfort and features a 3-Point harness system. 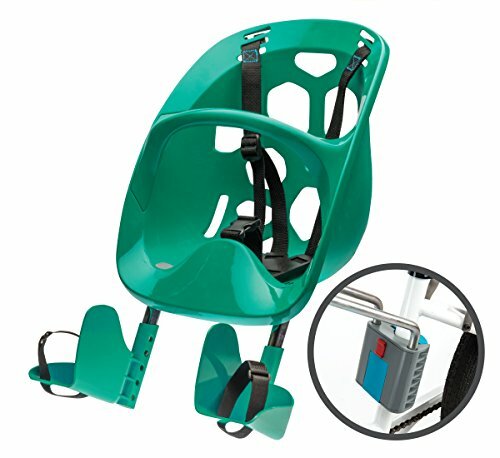 Adjustable foot beds grow with your child and feature an easy care foam seat pad. 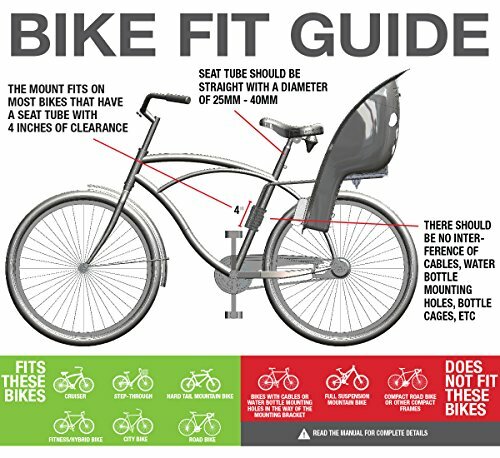 Fits most bikes. 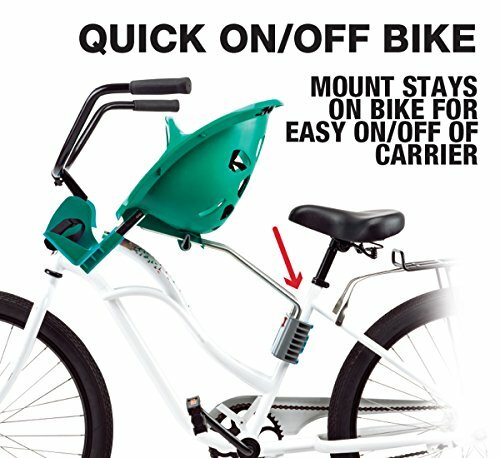 Carries one child up to 33 lbs. 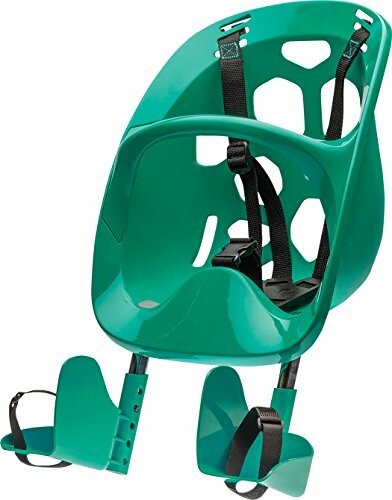 Carries one infant child age 1+ up to 33 lbs.